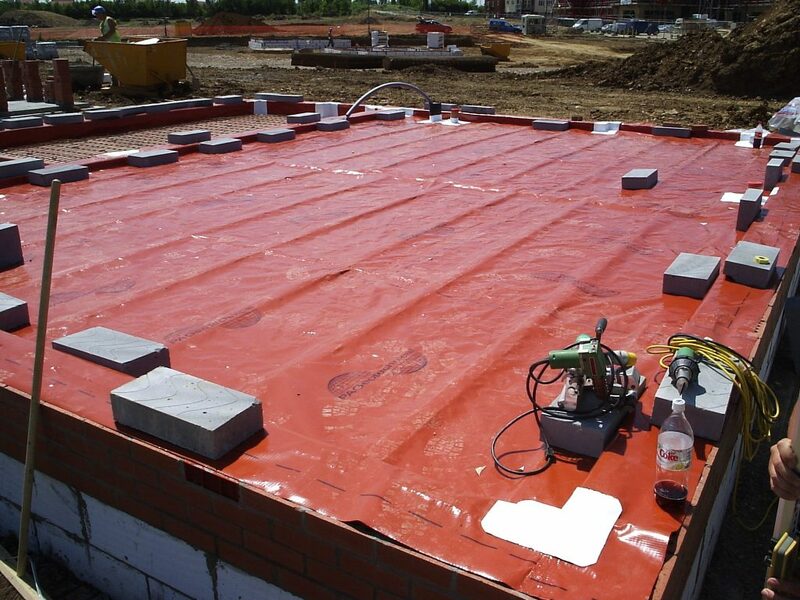 Ground gas protection for housing typically comprises a gas barrier geomembrane combined with with a ventilation system to remove gas. This provides passive gas protection without the need for monitoring or mechanical equipment, which is ideal for housing and small industrial units. We can also supply active gas protection for larger installations or those requiring additional protection. Many of the products that we use to provide barriers and venting are specially developed by us and available only from PAG. Gas barrier can be supplied in preformed sections to speed up installation on housing sites. Alternatively, we can carry out joining on site. PAGeoTechnical specialises in difficult-to-solve problems on housing sites. By looking at the site in its entirety and using combinations of single and multiple membranes and ventilation systems, many sites have been developed which would otherwise have been difficult or impossible. Please contact us early if you have such sites and we will be pleased to assist with everything from design, through planning and approvals, to managing construction. Residential housing for sale can be designed in accordance with BS8485 OR in accordance with NHBC traffic light system. Please contact us for information. 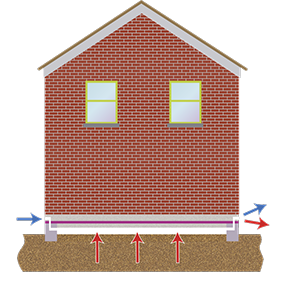 The method of gas protection depends on the type of construction of a building. Predominantly, these are ground bearing slab and suspended floors. The slab is poured directly on to the gas barrier, below which is a venting layer of 200mm granular material, or PAG 25 vent layer, which provides the most effective venting and forms a more stable substrate. Gas barrier is laid over the structural floor and covered with a screed. The sub-floor can be ventilated by air bricks.